“Poverty is the deprivation of opportunity”, said economist Dr. Amartya Sen. Financial inclusion gives the financially weak the chance to change their economic circumstances and lead better lives. Why does financial inclusion matter for the economic prosperity of a nation? Put simply, once the financially weak are part of the mainstream financial system, they have access to microcredit to generate additional income streams; to channel their savings into investments and create assets; to buy insurance products that protect them financially in times of disease, disability and death; and to help fund their children’s education. In the last seven years, India has taken massive strides towards financial inclusion. When the first Global Findex Database was released by the World Bank in 2011, it stated that 40% of adult Indians had a bank account. An overwhelming majority of Indians, especially in rural areas, were financially weak and were effectively excluded from the formal economy. 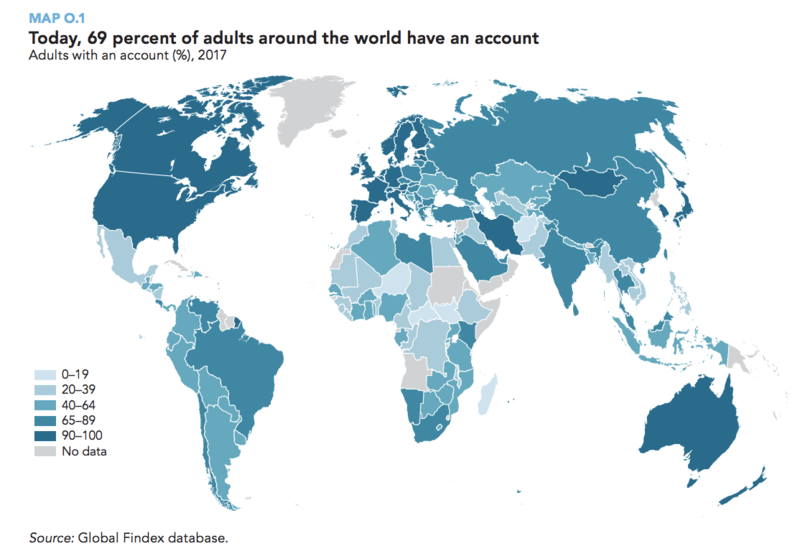 Seven years later, almost 80% of adult Indians have bank accounts, according to the Global Findex Database published in April 2018. Powering this dramatic rise has been a series of financial inclusion measures launched by the government. These include Aadhar, a biometric database that provides a unique identity to each Indian citizen; no-frills savings bank accounts called Jan Dhan; the direct transfer of social benefit payments into these Jan Dhan accounts; and a digital payment infrastructure called BHIM. Today, 90% of India’s 1.3 billion population have a unique Aadhar identity, which is vital for meeting anti-money laundering “know your customer” (KYC) requirements. In the last four years, 330 million new Jan Dhan bank accounts have been opened. Mobile penetration is expected to reach 90% by 2020. Internet penetration has soared, and the use of digital payments is also rising significantly. These are creditable achievements for the country. However, getting a unique identity, having a bank account and using digital payments are just the foundations of financial inclusion. Now these basics have been addressed, the government and private sector must take the next steps to build a superstructure of economic prosperity. What are the key elements of true financial inclusion? First, financial firms must understand the market and structure products accordingly. For example, agricultural income is seasonal and lumpy. So if you are lending to a farmer so he can buy a tractor, you need to structure a loan product where the repayment cycle is seasonal and not monthly. In a country as vast and diverse as India, deeper understanding of the market can only come if firms have a widespread distribution and recruit locally. In order to serve their customers better, financial services firms need to be present in local markets and have employees who are familiar with the cultural and economic nuances of the community in which they work. Today, Mahindra Finance is present in every Indian state, and its branch network covers 85% of districts nationwide. It has more than six million customers across more than 360,000 villages – that’s one in every two villages in the country. Its customer-centric financial inclusion model focuses on four pillars: easy access to credit for livelihood, insurance, housing and investment solutions. Closer integration with the community also helps in bringing about a greater appreciation of the challenges faced by them. For them, life is often unpredictable and dependent on variables such as weather and uncertain agri-commodity prices. Financial services firms need to weave in these uncertainties in their business models in order to serve these communities successfully. Second, financial literacy. Unfortunately, this is one area where India still needs to do a great deal of work. According to a Standard and Poor’s survey, basic financial literacy in India is sub-par. The good news is that, driven by the government and regulators such as the Reserve Bank of India, as well as voluntary efforts by companies through corporate social responsibility (CSR) programmes, this is changing quite rapidly. Third, partnership between the government and providers of various financial products, so the risks and rewards of working with marginal populations are shared. A good example is rural housing. Powered by a government programme that provides financial support and participation from the private sector, 70 million new houses have been built in the last five years, up from about 400,000 previously. The industry body Association of Mutual Funds of India has been running a successful campaign to raise awareness about the benefits of investing in mutual funds to create long-term wealth. The last decade’s growth rate of investment in mutual funds in India is now double that of the rest of the world. Interestingly, digital flows into mutual funds have increased 12 times in the last two years. Admittedly, most of this growth has come from urban areas. But as financial inclusion takes hold, and more of the rural population is able to meet basic needs such as housing, they will look at investing their surplus to create long-term assets through financial investments. In recent times, agrarian distress in India caused by the splintering of agricultural land holdings into unviable sizes and by unremunerative prices for agri-commodities has led to calls for the waiver of farm loans. At best, this can only be a short-term solution. The way to address this issue is by providing rural communities with additional and alternative income streams. This can only be done by greater financial inclusion. Microcredit products, for example, have the potential to transform the financially weak into micro-entrepreneurs, as well as create jobs in the local community. India has the world’s largest share of young people – half the country is below the age of 25. They are no longer satisfied with the status quo, and have soaring ambitions. Financial inclusion will necessarily have to be at the core of any economic strategy that the nation puts in place to meet these aspirations.